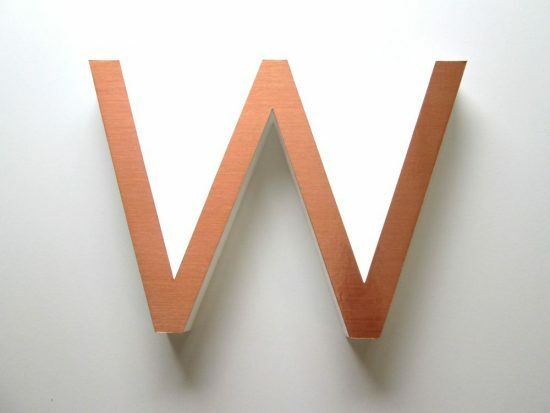 Faux metal letters for office walls or retail displays, exhibitions and events. Available in brushed aluminium, polished aluminium or brushed copper. Chrome styrofoam dimensional logos and lettering custom made to order from customers own artwork. Brushed Aluminium Foil Faced Polystyrene logo Text. All letters and logos are custom made to order from customers own artwork supplied to us as a vector graphic saved as an eps file. Please feel free to contact us for advice or a price.